Nadia Mercer has experience ranging from permaculture design in Maui, to working on a vegetable CSA farm in PA, to managing the Washington Youth Garden's one acre demonstration garden and several school gardens (2011-present). 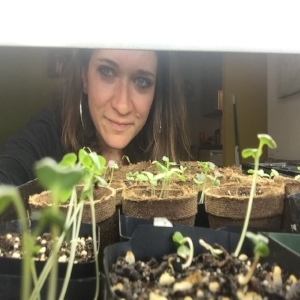 She received a degree in Studio Art from James Madison University in 2006 and applies these right brained skills to create three-dimensional vegetable garden experiences for DC youth and families. Since joining WYG Nadia has transitioned the demonstration garden from predominantly annual vegetable production to include an orchard demonstrating permaculture techniques, fifteen raised beds, a drip irrigation system, and youth orientated design elements. She is taking continuing education classes in Landscape Design and Horticulture at the USA Graduate School. You can reach Nadia at nmercer@washingtonyouthgarden.org. "Farmer Jake" Dacks earned his esteemed title working on farms in Oregon, Argentina, and DC. Along the way, he's herded goats on an animal sanctuary, built the finest composting toilet in the Western Hemisphere, and eaten way too many radishes. 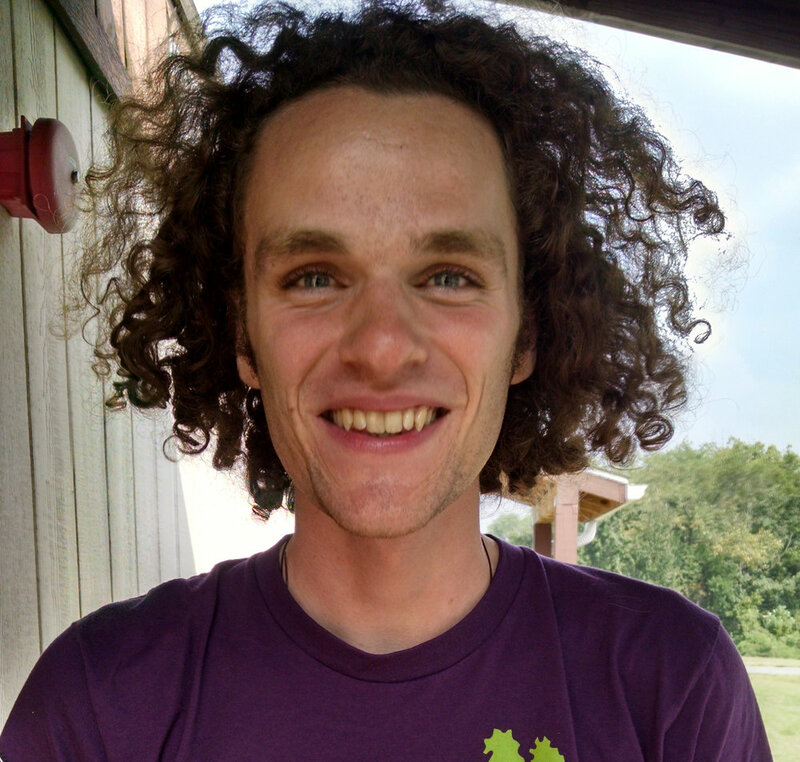 Jake is a student of permaculture and enjoys mushroom hunting while riding his bike around the city. He's excited to be a part of the Washington Youth Garden where he tends to the one-acre demonstration plot at the National Arboretum. You can reach Jake at jdacks@washingtonyouthgarden.org. 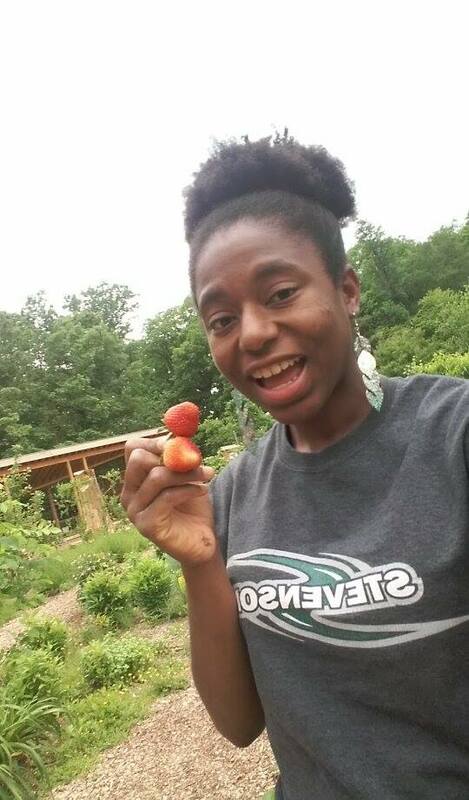 Crystal Williams joined the Washington Youth Garden in July 2016. She recently graduated from Loyola University Maryland with a B.A. in Communications, specifically public relations and advertising. After reading The Promise of a Pencil by Adam Braun, Crystal knew that she wanted to work for a non-profit in making the world a better place. She interned with a New Jersey non-profit called Move for Hunger where she learned she belonged in a field that thrived on healthy eating and sustainability. In her free time, Crystal enjoys exploring the wonderful museums in Washington D.C., attending local concerts, and searching Pinterest for new healthy recipes. You can reach Crystal at cwilliams@washingtonyouthgarden.org. Brianne Studer, Education Manager, develops and facilitates educational programming at WYG’s demonstration garden and at partner school gardens, as well as manages seasonal staff, school garden coordinators, and volunteers. Brianne brings over 10 years of experience in youth development and informal education, focused on STEM education. Before joining WYG, she served five years as program director for Farrington Nature Linc in the greater Boston area. She received her B.S. from University of Michigan and M.S. in Ecological Teacher and Learning from Lesley University. Thea Klein-Mayer's ideal day includes being outside, working hard, and sharing tasty food, so she's happy to join the WYG team and do all of the above. She got started growing food through an on-campus vegetable garden she led in college. After graduating with a degree in Environmental Science, she mentored students working on design projects, visited family in South America, and then moved to rural Virginia to practice sustainable agriculture. There, she developed a love for garden-based education that she's brought back home to DC. Allie Arnold is a recent graduate of the University of Virginia, where she spent a lot of time thinking about and participating in local food systems work as an Environmental Thought & Practice major. She thinks there is no better way to build relationships with the earth and each other than through growing, cooking, and sharing food. She’s excited to dig in and find fellow garden enthusiasts in families, kids, teachers and staff. Allie is the primary contact for KIPP Webb Campus. Salsabil Chebli is a recent University of Maryland graduate. She loves working with kids and teaching them to be passionate about the environment and eating healthy. She also enjoys cooking and baking cool cakes in her free time. Lynne Bogle is entering her second year as a FoodCorps Service Member with Washington Youth garden, after abundant previous experience at Montessori schools and in the garden. She is passionate about sharing outdoor experiences and teaching about food and gardening with her students. Her fellow teachers say she always brings a burst of energy and a ready smile to each room she enters. Lynne is the primary contact for Bishop Walker School. Malaika Simmons is a recent graduate of Davidson College where she earned her BA in Environmental Studies. Her main interests within the environmental studies realm involve food justice, food security, and urban gardening. As a Washington, DC native she is excited to work with FoodCorp and Washington Youth Garden this school year in engaging young students around gardening and healthy eating. Cherri received a B.S. from the University of Maryland, College Park, with a major in Foods, Nutrition, and Institution Administration. After retiring as a Dietitian at the Department of Veteran’s Affairs, she combined her passion for gardening, nutrition, and education and began volunteering at the Washington Youth Garden leading SPROUT trips. Cherri is also the lead teacher with the REEF after school Garden Club at Washington Yu Ying Public Charter School. She is excited to introduce the children to new foods and have them experience, first hand, how vegetables are grown. Her hobbies include making skincare products, including soap and balms, with oils and Shea Butter. Muriana is currently a student in Nutrition & Dietetics, her love for food brought her to gardening. 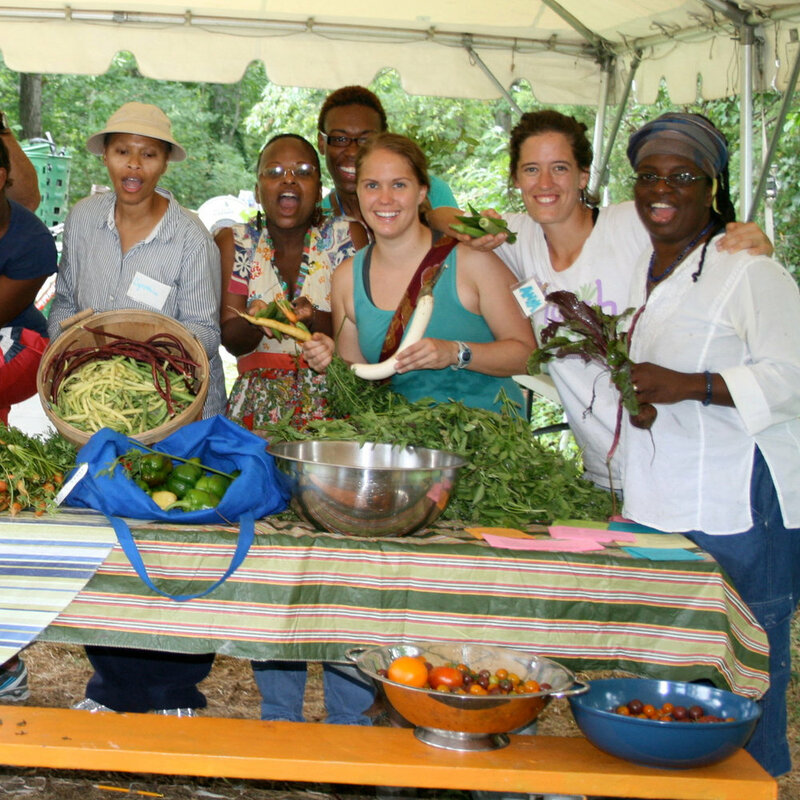 Her main interests are food insecurity within under-served communities as well as holistic wellness. She was a former Foodcorps service member with Washington Youth Garden where she worked in schools to teach kids about healthy eating and food accessibility. In her free time she loves to read, cook, and hike. Bodhi Vasilopoulos enjoys spending time gardening, meditating, hiking/camping, traveling, learning and cultivating meaningful relationships. He has worked on multiple farms throughout Virginia including an organic wholesale vegetable farm, a backyard CSA farm and a biodynamic market garden. He has also been involved in various community environmental and social activism organizations. 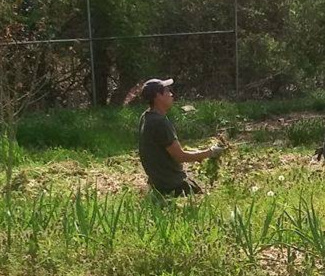 Bodhi has WWOOF'ed and volunteered on farms and gardens in the USA, Nepal, Ecuador and France. He has a B.S. in Environmental Science and Spanish Language from James Madison University. Bodhi strives to expand his skills and knowledge in permaculture, herbalism, music, language and non-profit leadership. His mission is to spread love and togetherness, foster community and be an enlighten-ing steward of the land. Tawndalaya DaRoza considers herself a “cultivator of life” because she is driven to make everything she touches come to life! She is passionate about teaching people how to heal themselves using the Earth as medicine as well as restoring a harmonizing synergy between the people and Earth. She graduated from Howard University in 2017 with a B.A. in Political Science and community development minor. 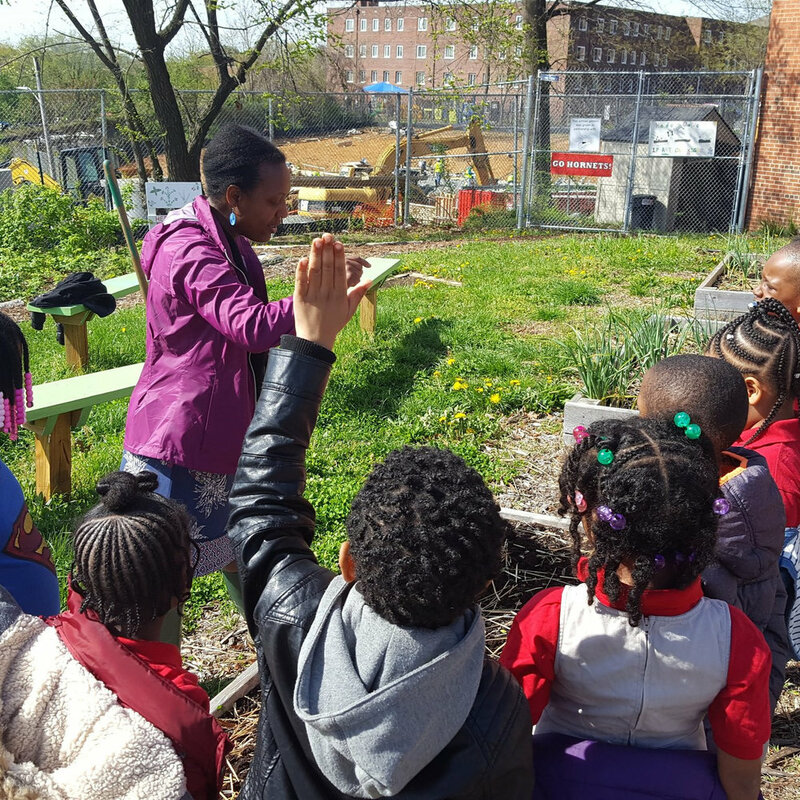 She is grounded in community advocacy, access, empowerment, as well as beautification and cultivates life in two other gardens: Howard University’s Halo G.R.E.E.N. Garden and Hustlaz 2 Harvesters Applied Research Garden. Her connection to the Earth, land, and elements is rooted in her spirituality and Honorable Ancestor’s Earth wisdom and innovate practices! She has studied permaculture in Cuba, is a Future Harvest CASA trainee and is interested in horticulture therapy as well as embodying sustainability practices that are truly regenerative. She also is a designer at heart and you can find her sewing fabric as a seamstress, crafting jewelry and creating based off her visions and or designs! Luisa has been interested in organic farming since graduating from college and working in a small urban farm in Mexico where she taught nutrition and sustainability including sustainable food production systems. There she learned about the importance of how food is produced and was introduced to the beauty of plants and the micro ecosystems that can be created with proper land stewardship. She helped create the first farmers market in her hometown and organized workshops ranging from composting, to soap making. In her free time she enjoys walking, reading books, and cooking. She is working as a Garden Educator in the Washington Youth Garden.